Thank you for taking The time to view my website. My name is Jonathan Waterman, I am an award winning ,modern, unique, professional and one of the most passionate of, Indian and Asian Wedding Toastmasters and Planners, Masters of Ceremonies, Wedding Coordinators, Event Managers, Organizers and lots more. ​I look forward to working with you closely go through all nuts and bots in detail, fine tune the day, prepare the schedule with you, recommend lots of very modern and unique touches, work according to your personal style, coordination, assist with the preparation of speeches ,organization, recommending and booking of suppliers, take the stress of you all, and most importantly ensure that the bride and groom and families and friends, will have memories in their hearts for a lifetime and beyond. I have many Wedding and Events Planning options available to you, some elements are included within my toastmaster packages. Please kindly contact me for further details, I will be pleased to discuss the options available to you. My 'Consultancy' only service is also available to those of you who have not booked my services, but would like professional planning advice, going through all nuts and bolts in detail, fine tuning of your day, professional speech writing, talking about the booking of professional suppliers, itinerary scheduling, Coordination, Organization and lots more. I work with a whole array of professional wedding suppliers, and I will be delighted to help you, source these, according to your requirements. I can help you with Indian Weddings, Mandaps, Decor, Entertainment, Bollywood Dancers, Wedding DJ'S, Harpists, Dhol Drummers, String Quartets, Magicians, Aerialists, Photographers, Caterers, Videographers, Saxophonists, Asian wedding Horses and lots more. ​I am based on The London and Essex borders. 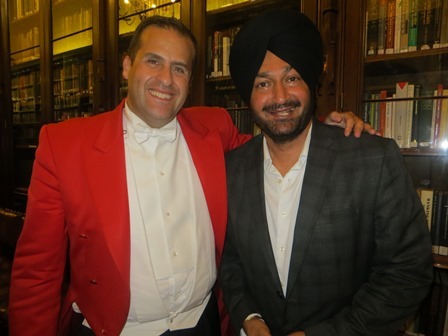 As Indian Wedding Toastmaster and Planner not only do I cover London and Essex, I will also cover, Middlesex, Hertfordshire, Berkshire, Surrey, Kent, Bedfordshire, Sussex, Birmingham and West Midlands, Coventry and Warwickshire, Hampshire and Nationwide and Worldwide. 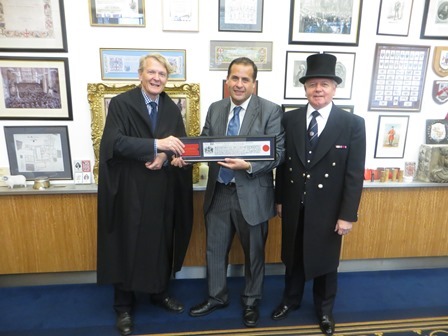 Jonathan being presented with the ' Freedom of the City of London ' at the Guildhall.
" I bring lots of Energy, Creativity, and Passion "
" Your Indian Wedding, Your Way, It is all about you "
My services are regarded by many Indian Wedding Professionals, such as caterers, DJ’S, Videographers, Photographers and more, as The second most Important part of The whole wedding process, with only The Bride and Groom getting married being number one.
" As a Modern Indian Wedding Toastmaster I will always dance and lead The Baarat "
I am one of The very few Indian Wedding Toastmasters, who cater for clients Nationwide, some of The areas I cover include, Chigwell, Ilford, Southall, Slough, Gerrards Cross, Hayes, Iver, Enfield, Barnet, Watford, Hounslow, Reading, Newbury, Luton, Birmingham, Warwick, Coventry, Luton, Uxbridge, Edgware, Stanmore, East Ham, Manor Park, Ealing, Chiswick, Redbridge, Gants Hill, Romford, Chelmsford, Harrow, Staines, Egham, Cobham, Weybridge, Farnham, Kingston, Oxford, Loughton, Wanstead, Woking, Ruislip, Northwood, Moor Park, Hatch End, Twickenham, Gravesend, Croydon, Sidcup, Maidstone, Bexley, Dover, Gatwick, Heathrow, Southampton, Rochester, Swindon, Newcastle, Bristol, Glasgow and lots more. Some of the venues I cover as Toastmaster and Master of Ceremonies for Indian Weddings include, The Brittannia Hotel in Docklands in London, The Park Lane Sheraton in London, The Natural History Museum in London, The Hilton London Canary Wharf, The London Marriott Grosvenor Square, The Russell Hotel In London,Addington Palace in Surrey, The Royal Courts of Justice in London, National Motorcycle Museum in Solihull in West Midlands, City Pavilion in Essex, Ashford International Hotel in Kent, Hilton London Heathrow Terminal 5, The Barbican in London, Selsdon Park in Surrey, Northbrook Park in Surrey, Coombe Abbey in Coventry, The Dorchester Hotel in London, Wembley Stadium in Middlesex, The Radisson Edwardian at Heathrow and lots more. ​Why not keep with the tradition by hiring one of our Asian Wedding Horses for your big day. 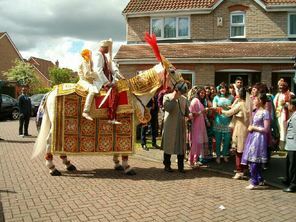 Having an Indian Wedding Horse, will add lots of colour and excitement to your event. As one of the most seasoned Indian and Asian Wedding Toastmasters, I cater for every possible client and For all types of wedding, some of which include, Hindu, Sikh, Muslim, Gudjarati, Arab, Christian, Catholic, and lots more. 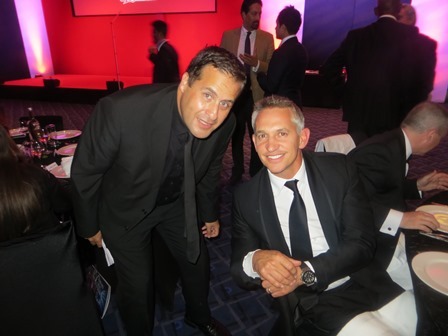 I also cover every type of Corporate Event and Function, Gala Dinners and Award Ceremonies. I Have been very fortunate as to have worked alongside some of the Finest Asian and Indian Wedding Professionals in the business, these include Photographers, Videographers, DJS, Decor and Lighting Companies, Cake Companies, Dhol Drummers, Pandits and Imams and lots more. 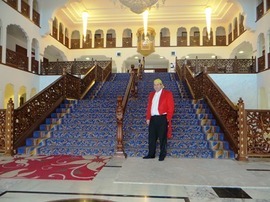 You may wish to view my testimonials and review from satisfied clients, also please feel free to visit my other website, which is www.asianweddingtoastmaster.co.uk , You will see I have lots more reviews. I look forward to hearing from you soon, and will be delighted to be of assistance, in order to fulfil your wishes, and have The very best day of your lives.